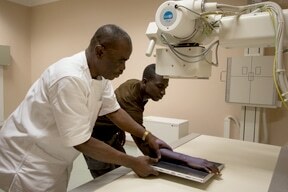 Due to its efficient technical facilities, Saint Jean Baptiste Hospital is set within the medical map of Côte d’Ivoire. 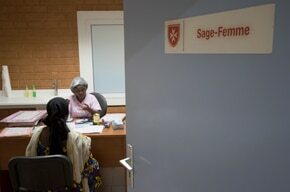 Saint Jean Baptiste Hospital reinforces its health care provision in particular through continuous education. 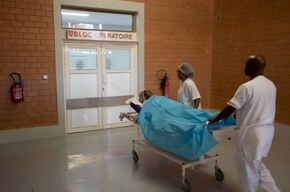 Owing to the success of the Saint John of Malta Hospital built by the Compagnie Fruitière in Cameroon in 1994, the Compagnie Fruitière, its Ivory Coast subsidiary SCB and the Compagnie Fruitière Endowment Fund initiated the construction project of the Saint John the Baptiste Hospital in the Ivory Coast in 2015. A few figures : 50 beds, 2 labor wards, 2 operating theatres in trauma care and visceral gynecological surgery. 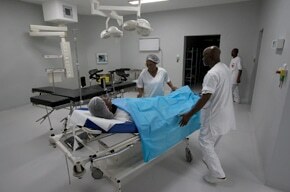 The extension project provides 100 beds amongst other facilities. 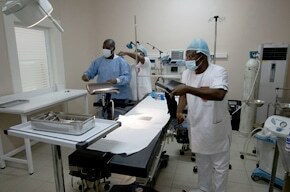 Its within its quality as founding member, together with to the French Association of the Order of Malta (OHFOM), and the Study and Development of Banana Plantation Corporation (SCB) that the Compagnie Fruitière Endowment Fund committed to support le Saint John the Baptiste Hospital construction project in the Ivory Coast. 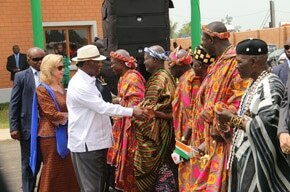 The cornerstone was set on the 17th of February 2012 by the Prime Minister of the Ivory Coast Mister Guillaume Kigbafori Soro and the Fist Lady, Misses Dominique Ouattara, demonstrating the expression of support given by the Ivory Coast public authorities to this project. 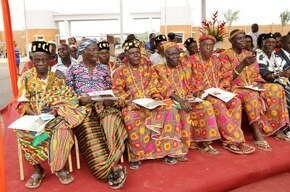 On the 16th of April 2015, the Saint John the Baptist Hospital was inaugurated by Mister Allassane Ouattara, President of the Republic of the Ivory Coast and the Prince de la Rochefoucauld-Montbel, Grand Hospitaller of the Order of Malta; many local and foreign authorities accompanied them. 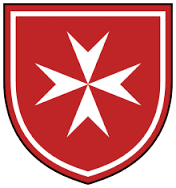 The Saint John the Baptist hospital is a non for profit private hospital, involved in public hospital service, its management is ensured by the Association of the Saint John the Baptiste Hospital the auspices of the Order of Malta France. It is organized into units: Mother-Child, Clinical Activities, Emergency and Consultations, Micro-Technical, Administrative and Logistic. 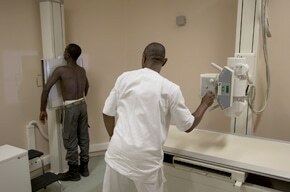 Due to its efficient technical facilities, the Saint John the Baptiste Hospital sits perfectly within the Ivory Coast medical map and a population of about 200.000 inhabitants. 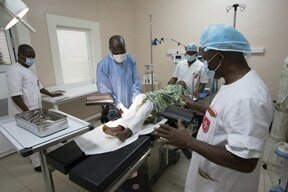 The Saint John the Baptist Hospital reinforces the social actions undertaken by the Compagnie Fruitière by completing the healthcare offer provided throughout 22 medical dispensaries and maternities of the SCB, as well as by setting up a privileged reference and counter reference partnership and exchange program including in continuous education. The activities pertaining to the extension of the Hospital facilities including the construction of the chapel are bringing the Compagnie Fruitière Endowment Fund and the Hospital together in pursuing their joint commitment to its development.